Kromeriz (UNESCO) was for centuries the seat of the bishops and archbishops of Olomouc. 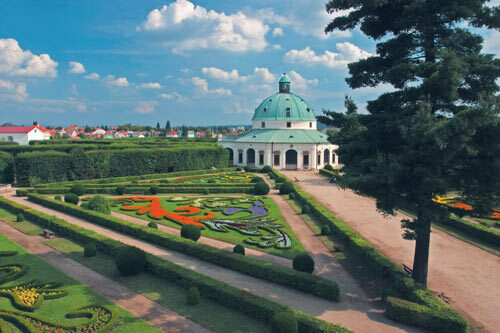 It turns Kromeriz into a grand town of fairytale beauty called Athens of Moravia. The Chateau of archbishop, its gallery European masters (Titian, Brueghel, Cranach), Chateau English Park and Flower Garden are represents of well-preserved Central European Baroque noble residence. Visit our personally tested hotels in pensions.